LA IGUALA, Honduras — On a Friday night out with her girlfriends, Erin McGrane of Cedar Falls asked her friends to let her know of any mission trips they might hear of. Two days later she spotted a flyer for the Sister Water Project service trip to Honduras posted in the back of her parish at Blessed Sacrament Catholic Church in Waterloo. The trip scheduled Sept. 23-30 was sponsored by the Dubuque Franciscan Sisters and was to help make potable water accessible to people in rural La Iguala as part of the Sister Water Project. Dubuque Franciscans initiated the Sister Water Project in 2006 as a way to address the lack of potable water in Honduras and Tanzania, areas where sisters from the congregation ministered. To date, the project has supported 18 water systems in Honduras, and over 130 wells in Tanzania. 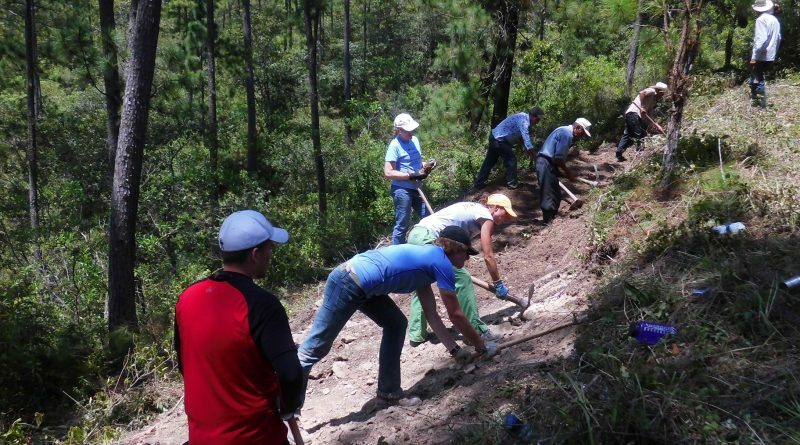 Volunteers were needed in rural La Iguala at the end of September to help locals dig trenches for the installation of PVC pipes, which would connect to a water tank high in the mountains. Sister Water Project Committee Member Brian Gilligan, parishioner at St. John the Baptist Parish in Peosta, Iowa, was also one of the 14 volunteers on the trip. He explained that due to the high altitude of the water source in the mountains 10 miles from the villagers’ homes, locals in the area of La Iguala had been working for 23 years to plan and fund the complex water project. So when the 14-member service team arrived from the United States to help break ground on the project that would soon allow for water to flow into villagers’ homes, the joy was evident. 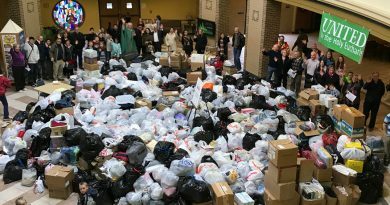 “The Hondurans were very happy and very excited to see us — it was almost like we were rock stars,” said Steve Kennedy, parishioner of Blessed Sacrament in Waterloo. Every morning the team, which also included Dubuque Franciscan Sisters Pat Farrell, OSF, and Mary Beth Goldsmith, OSF, who minister in Honduras, would be driven 45 minutes to the work site at the mountain. “Then we would throw a shovel, pickaxe, or hoe over our back and walk another 45 minutes up the mountain to get to the job site,” said Kennedy. 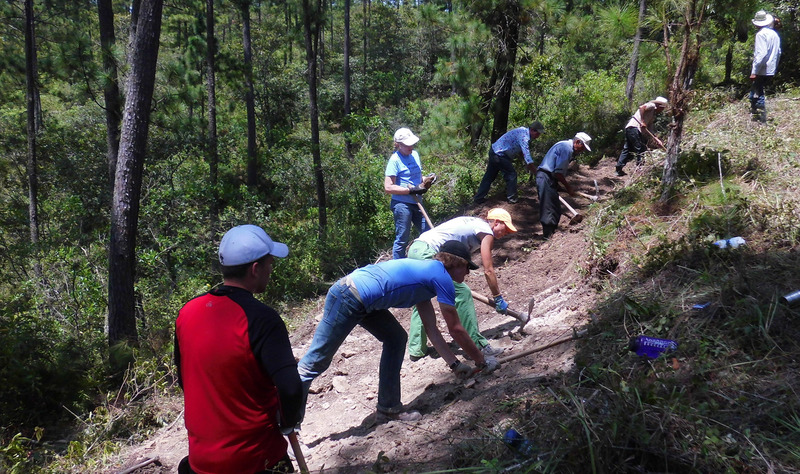 The volunteers dug trenches alongside 60 Honduran men from the local villages. “It was hard work but it didn’t really bother me. I was glad to do it and just kept on going,” said McGrane. Though the work was physically demanding, volunteers didn’t bemoan the conditions. For Mary Myers, parishioner of St. Ludmila Catholic Church in Cedar Rapids, working alongside local villagers who would have ownership of the water project was special. 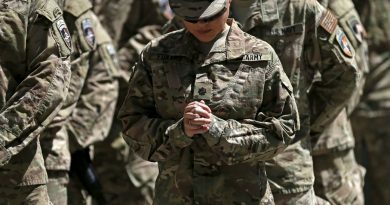 “At home you can donate clothes or money but to physically get in there and work with the people—it felt like instead of helping, you were actually serving,” she said. 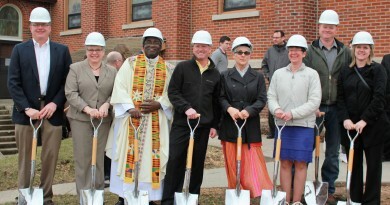 The volunteers’ dedication to the project touched Sister Mary Beth Goldsmith, OSF. While the service team was in Honduras, 100 Dubuque Franciscan Sisters, associates and employees participated in a Sister Water Project Walk on Sept. 24 at the congregation’s motherhouse. “It was important to show our solidarity with the sisters and volunteers in Honduras,” said Sister Kathy Knipper, OSF. Participants of the walk wore Sister Water T-shirts which had the quote “thousands have lived without love, not one without water” in English, Spanish and Swahili—the native languages of those connected to the Sister Water Project. At the end of the week, the American volunteers found it difficult to say goodbye to the Honduran people who they had grown close to. “It was hard to leave because you felt like there was more to do,” said Myers. The project continues in Honduras and will take villagers another five to six months to complete. Now back at home, the volunteers hope the people they served in La Iguala will soon know the joy of running water. 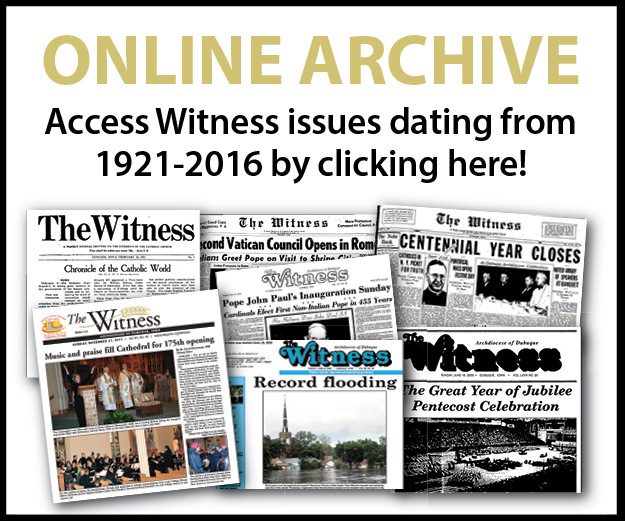 Russo is communications director for the Dubuque Franciscan Sisters.